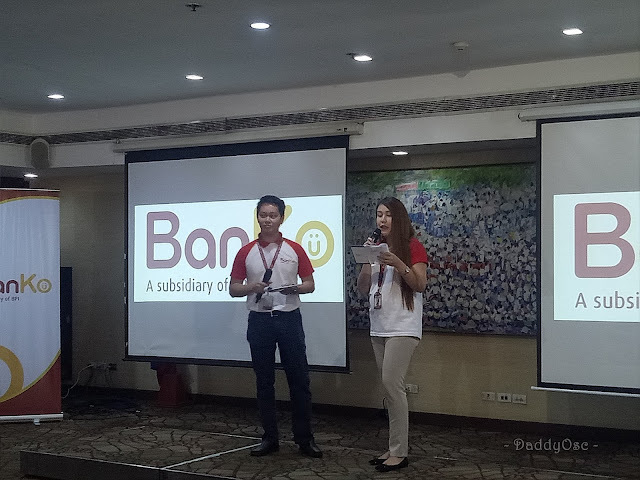 BPI Direct BanKo offers affordable loans to SEME's | Daddy O! 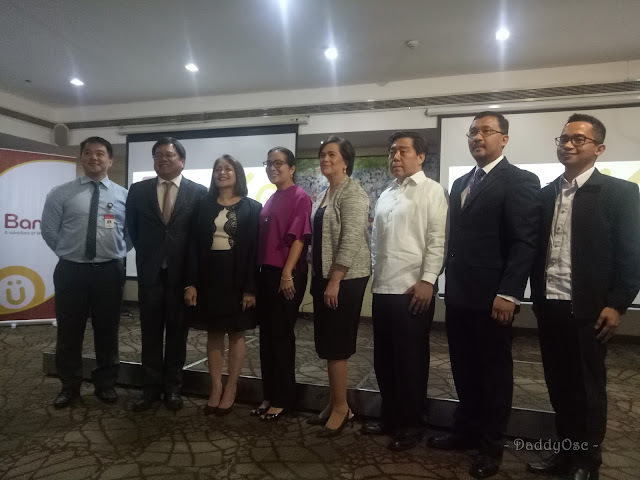 (L-R) Mr. Cezar P. Consing, BPI President and Chief Executive Officer; Ms. Nabblie Alejo, BanKo Chairman; Ms. Chuchi G. Fonacier, Incoming Deputy Governor of the Bangko Sentral ng Pilipinas, and Mr. Jerome Minglana, BPI Direct BanKo Inc. (BanKo) President during the ribbon cutting at the opening of BPI BanKo Exhibit featuring "Small Negosyanteng Pinoy" held on July 25, 2017 at BPI Head Office Ayala Avenue, Makati City. 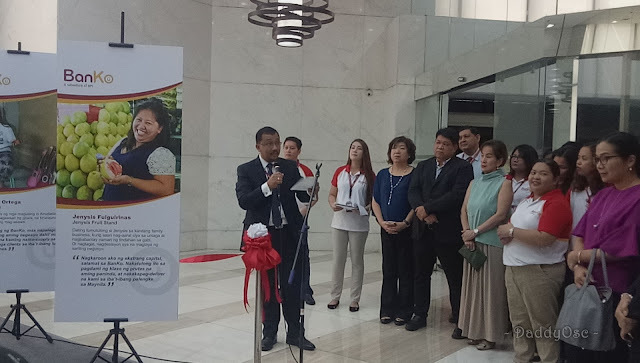 "Hindi man madali ang buhay ngayon, pero may paraan para maging madali at mabilis ang pag-asenso, Mag BanKo na tayo", a remarkable statement by Mr. Jerome Minglana, BPI Direct BanKo Inc. (BanKo) President upon giving his speech and welcoming guests at the opening of BanKo exhibit at BPI Office. 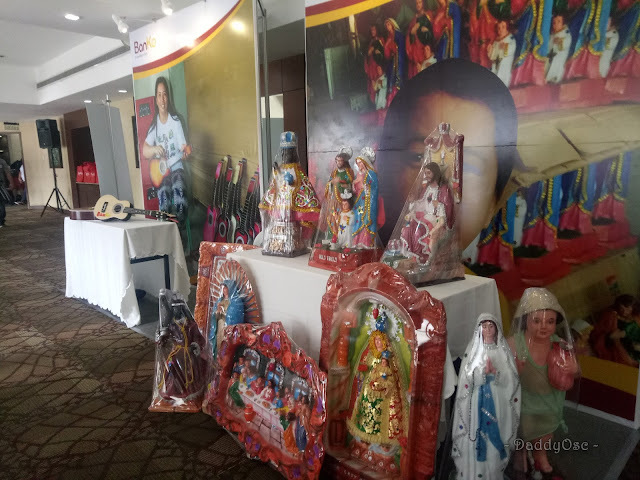 The BanKo exhibit featuring the "Small Negosyanteng Pinoy"
After the ceremony, the program starts where the Bank of the Philippine Islands officially launches its micro finance bank, BPI Direct BanKo, Inc. or BanKo. 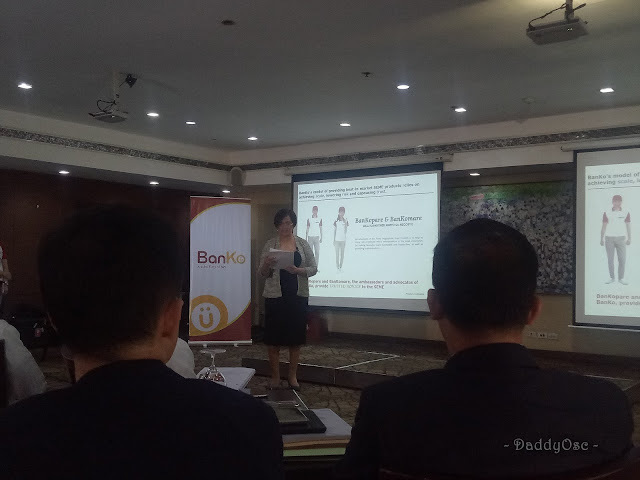 The micro finance bank is the result of the merger of two specialized thrift bank units of BPI - BPI Direct Savings Bank In. and BPI Globe BanKo. 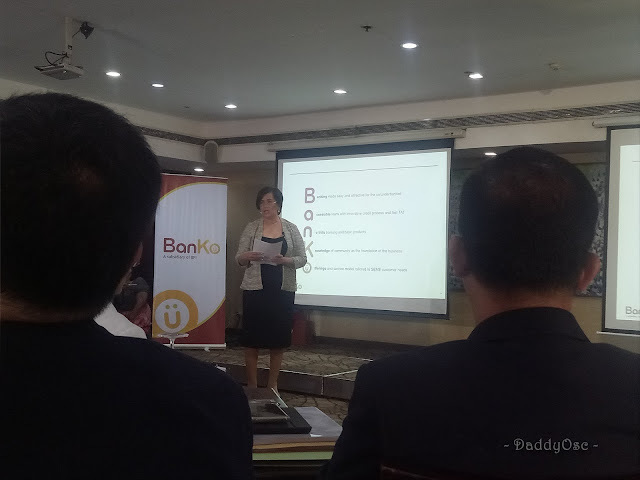 BanKo offers affordable loans ideal for self-employed micro entrepreneurs running their small businesses. 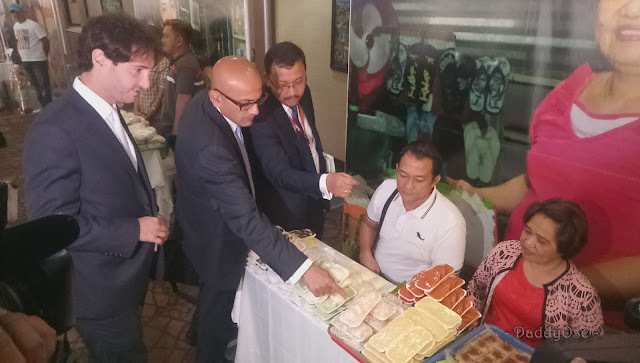 Example of these entrepreneurs are Fruit Vendors, Fish Vendors, RTW sellers, or even the Sari-Sari stores owners who want to expand their capital in adding goods to their business but have no extra budget for that. 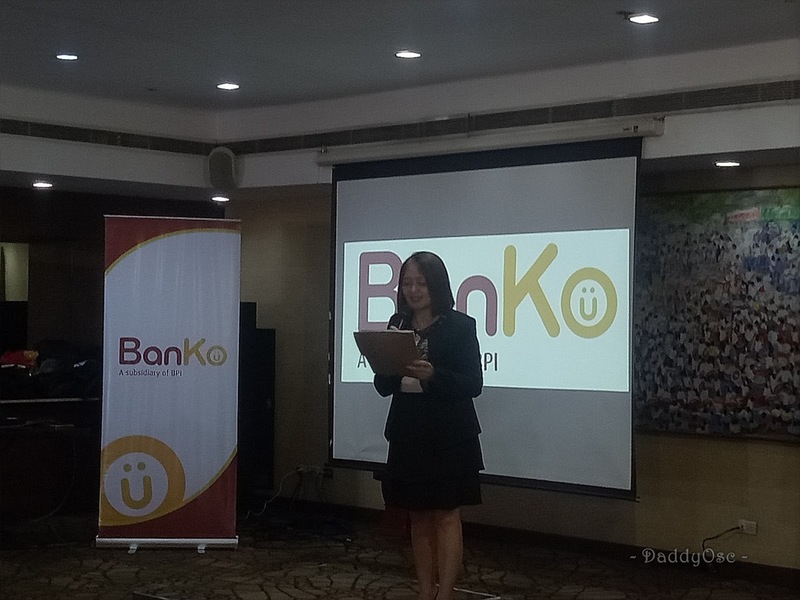 With BanKo, their primary loan product is the NegosyoKo Loan. It is an easy, convenient and affordable loan that SEMEs may use for additional capital or business expansion. A NegosyoKo loan may range from as low as Php 25,000 to 300,000. 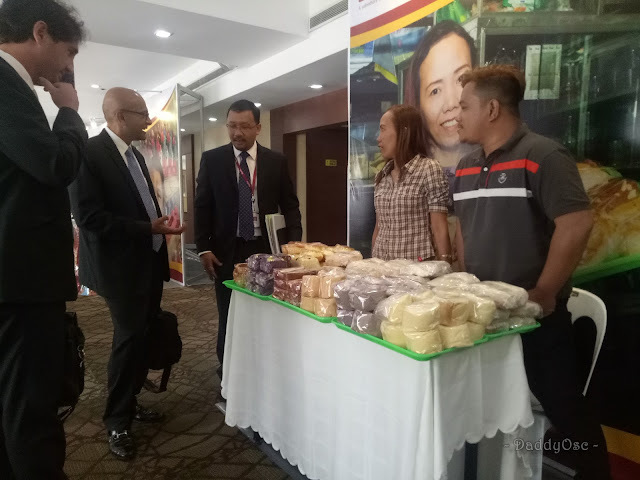 Some of the SEME's exhibit their product. BanKo will serve self-employed micro entrepreneurs (SEMEs) running their small businesses. Aside from providing SEMEs affordable and appropriate loan products, BanKo aims to empower SEMEs with expert financial advice and solutions that promote the growth and expansion of the SEME's enterprises. BanKo Chairman Nabblie Alejo said BanKo supports the country's vision of financial inclusion by strengthening the financial capability of a sector that rarely has access to formal banking. "Man of these SEMEs are forced to go through informal channels," says Alejo. "With BanKo, we can provide a more formal lending platform, offering our SEME's with easy accessible, and affordable loans. We believe that we are able to help create a more positive impact on their quality of life, and ultimately, contribute to the country's economic growth." 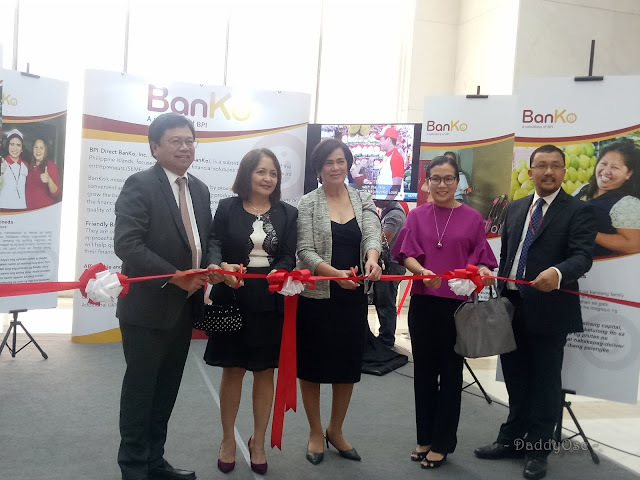 BanKo recently opened 15 new branches in key areas around the country, including Bicol, Negros Oriental , Davao, and Central Luzon, bringing the total number of branches nationwide to 24. By October 2017, BanKo aims to have 90 branches nationwide. "At BPI, we proactively listen and always strive to address the financial needs of all clients across sectors. 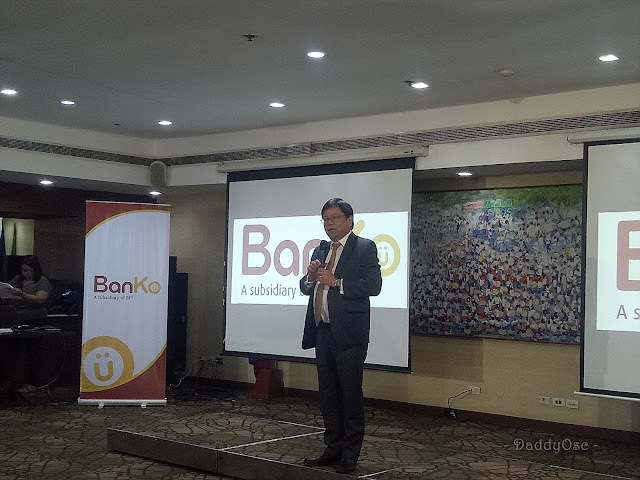 BanKo is major effort in reaching out to the unbanked and undeserved individuals," said BPI President and Chief Executive Officer Cezar P. Consing. "The country's prosperity will only be meaningful if a wider swatch of the population is touched by development and process. BanKo is precisely positioned to do just that." 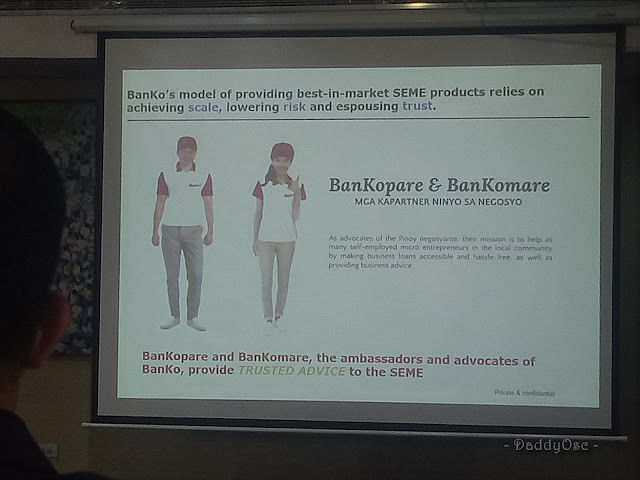 BanKo clients are guided by financial advisors called BanKoPare and BanKoMares - loan officers who engage SEMEs and help them choose the best products and solutions to help scale up their business. These friendly and approachable bankers help clients manage their finances and give expert financial advice. Incoming Deputy Governor Churchi G. Fonacier of the Bangko Sentral ng Pilipinas, who was guest of honor at today's event, share that the BSP is setting its sights on innovations as the primary catalyst to reach greater scale. "The BSP will continue to nurture an enabling regulatory environment that allows market-based solutions to thrive, and create space for innovations that allow both the financial institutions and financial consumers to seize the opportunities before them," Fonacier said. For more inofrmation, visit http://www.banko.com.ph or check out the nearest BanKo branch. Loan and Payment terms are affordable too :) Small time business owners can depend on this program. Indeed! It will help you grow your business as partner for a brighter future ahead.